When the New Testament Writers Quote the Old Testament, … Uh… Are They Crazy? Have you ever wondered why the New Testament writers quote the Old Testament, the way they do? Sometimes, it looks rather strange, if not outright crazy. Is there an explanation for this? Let us explore an example from the Book of Acts. Let us ignore the whole question of how Judas died, and instead, focus on what I have highlighted, namely Peter’s statement, “the Scripture had to be fulfilled,” in v. 16. In v. 20, Peter quotes from two psalms, Psalm 69:25 and Psalm 109:8. But if you read either of those Psalms in the Old Testament, say Psalm 69, you will notice that this psalm says absolutely nothing about Judas Iscariot, and nothing directly about Jesus as the Messiah. How does this have anything to do with replacing the apostolic position left open by the death of Judas? How can prophecy be “fulfilled” in Acts, when neither psalm appears to be predicting anything? So,… Is Peter’s use of the quotations from the Old Testament, a bit…. uh…. crazy???? 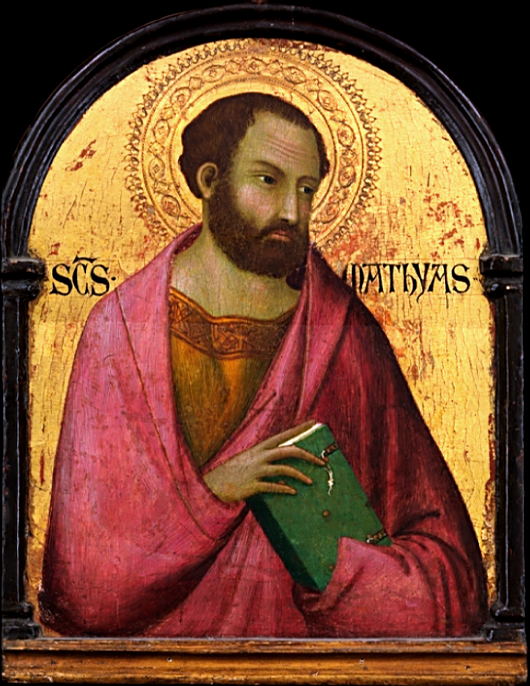 Was Peter suffering from some form of “post-Ascension” stress? The answer to that is “no,” but it requires taking a closer look at the original context of the Biblical speakers, writers, and their audience. Is Genesis History?, or Is Del Tackett Confusing Film Viewers? The run-up to the one-night showing (tonight) for Del Tackett’s latest film, Is Genesis History?, introduced here at Veracity, is in full swing. So, I just have a brief follow-up: Christian media outlets across the country anticipate large crowds to go see this film in theaters nationwide. For example, yesterday on “Hour 2” of the Eric Metaxas show, Del Tackett was interviewed by Metaxas. Eric Metaxas, a Christian public intellectual, himself is agnostic on the exact meaning of the “days” of Genesis, but he had a very friendly and warm conversation with Del Tackett, who endorses a literal, 24-hour view of the “days” of Genesis 1. Tackett explains that the film relies on extended interviews with scientific and other experts, to defend the concept of Young Earth Creationism, the belief that the earth is no more than about 6,000 years old, contrary to the mainstream scientific paradigm, that argues that the earth is about 4.5 billion years old. For example, Tackett interviews Hebraist and Semitic language scholar, Steven Boyd, who argues that the plain meaning of a literal, 24-hour day should be taken for each of the six, creational “days” of Genesis. A number of scholars take the view of Dr. Boyd, who is (unsurprisingly) a Young Earth Creationist, but does every scholar agree with this view? Apparently, not. I decided to ask an Orthodox Jewish friend of mine, to get an answer from a Jewish perspective. After all, Jews and Christians share the Book of Genesis together in their Scriptures. As I expected, Jewish interpretation of the “days” of Genesis mirrors the variety of Christian views on the same topic, and the scholarly disagreements go back hundreds of years, predating the 19th century advent of Darwin’s theory of biological evolution, by a number of centuries. In the film trailers and in promotional interviews, Del Tackett, has a very homespun, unassuming demeanor, contrary to a lot of rancor this kind of debate often generates within the church, which is quite refreshing. But when I heard Del Tackett talk about soft tissue found in dinosaur fossils, I began to wonder if Del Tackett fully understands views contrary to Young Earth Creationism. So, it remains to be seen whether or not Del Tackett’s Is Genesis History? will serve to provide clarity in this controversial debate, or if it will be an awkward appeal to “alternative facts” that will only confuse believers, who simply want to be able to adequately defend the Bible, in a world that is often hostile to its central, core message. If you are still interested in seeing the film, there are two showings in Williamsburg, Virginia, at Regal New Town Stadium 12, at 7:00pm, tonight, with tickets still available at the time of this blog posting. All showings in Williamsburg on Thursday were sold out. An encore showing will be next Thursday, March 2nd. Popular blogger and Young Earth Creationist, Tim Challies, saw a preview of the film a few weeks ago, and he really liked it. Eastern Orthodox blogger and Young Earth Creationist, Seraphim Hamilton, mostly liked the film, but had problems with at least one of the scientific interviews. Apparently, Hamilton believes that hominid creatures were scattered after the Tower of Babel incident, only a few thousand years ago. Some of the staff at the Old-Earth Creationist ministry think-tank, Reasons to Believe, did an audio podcast reviewing the film. On the positive side, they applaud the film for connecting the wonders of God’s Creation with the glory of God. On the critical side, they are concerned that the film confusingly pits science against science, thereby implying that God’s revelation in nature can not be trusted. 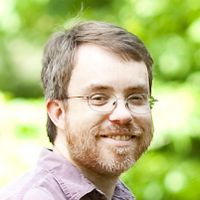 Jeff Zwerink, an astronomer with Reasons to Believe, wrote an essay summarizing these comments and concerns. An evolutionary creationist at the Wartburg Watch blog is concerned that the film unfairly paints the Young Earth view as the only valid Christian view, without considering how biological evolutionary theory can be reconciled with the Genesis account. Genesis is part history and part metaphor. Biologist Todd Wood: One of the Young Earth Creationist scientists in Is Genesis History? “It is the glory of God to conceal a matter; to search out a matter is the glory of kings. (Prov. 25:2)”, which is Todd’s tagline on his blog. If you want to find out more about some of the other scientific experts in Is Genesis History?, I would encourage you to first check out the blog for biologist Todd Wood, who this week published a Q&A regarding the film, on his website. Todd Wood understands and appreciates the mainstream scientific consensus, but he consciously adopts a worldview aligned with his Young Earth Creationist interpretation of the first few chapters of Genesis. Todd Wood is crazy smart, and quite likable, in my mind, even if he is more narrow in his beliefs. Whether or not Dr. Wood is able to come up with a viable scientific model, in which his hypotheses can be tested, a difficulty he readily admits, is another matter. 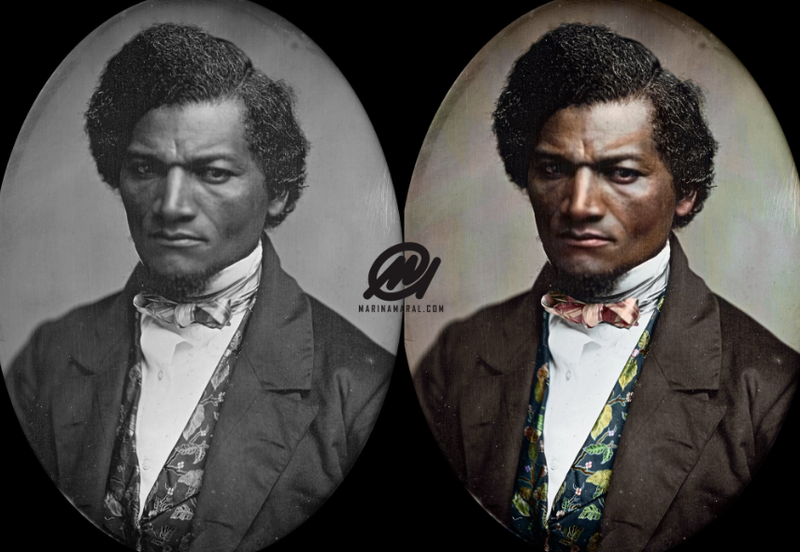 I thought about publishing a new blog post, but I was not convinced that doing so would help to encourage dialogue or fan the flames of frustration, so I am merely updating here. Todd Wood, one of the biologists in the film, that I highlighted above, has written a very thoughtful response to the claims of detractors, and one of the film’s experts, Paul Nelson, as noted above, that Is Genesis History? is promoting a false dichotomy. Todd Wood’s post is a bit difficult for me to grasp coherently, but I really appreciate the conciliatory tone that he displays. I just wish everyone in the Young Earth Creationist community were a little more like him. 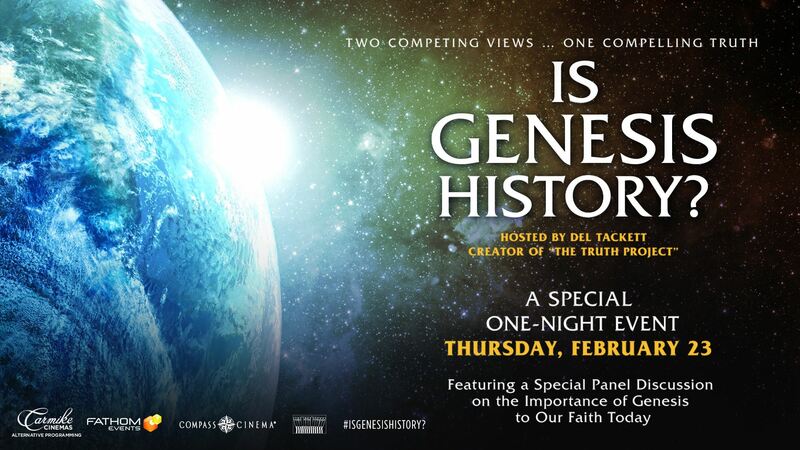 I recently received an email from a local church promoting a new film, in theaters for only one night, February 23, 2017, Is Genesis History? The film is a project of Del Tackett, the creator of “The Truth Project” small-group educational series, distributed by Focus on the Family. 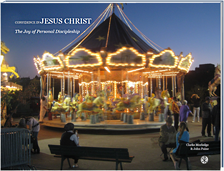 Focus on the Family has been a very influential Christian organization, dedicated to helping families struggling against the detrimental influence of the surrounding secular culture. The Adventures in Odyssey radio broadcast, produced by Focus on the Family, is a favorite resource of mine! When Focus on the Family originally promoted Del Tackett’s, “The Truth Project” in 2004, Christians in many churches, including my own, went through the 12-week, DVD-based curriculum, impacting some 12 million people all over the world. The series was well received by many believers, as a beneficial aid to help Christians develop a more Biblical worldview. What is Del Tackett’s “Is Genesis History?” All About? An analogy from current events might be of assistance when it comes to evaluating Del Tackett’s Is Genesis History? Cultural commentators have grabbed onto the politically-charged phrase of “alternative facts” to describe the type of world we live in, in 2017. Speaking of “alternative facts,” among those who defend the concept behind the phrase, implies that there are facts out there that are routinely suppressed or ignored by the media, academia, or other sources of supposedly trusted information. To resist against this trend, we are urged to become more exposed to considering “alternative” views. However, for others, “alternative facts” is just a form of Orwellian double-speak, a fancy way for distorting and obfuscating the true reality of things, exchanging the truth for a lie. Sorting out exactly what are “alternative facts,” and how they relate to “true facts,” can get rather confusing. Who do you trust? To dispel the anxiety, we can simply turn off our TV, with its 24-hour news cycle, and our social media feeds. But when it comes to how Christians understand the Bible and its theology, the stakes are much higher. What correctly constitutes “true facts” can have eternal consequences, and thus, this discussion can not be taken lightly. Del Tackett has his concerns with negative trends in the church, and some of them are properly justified. 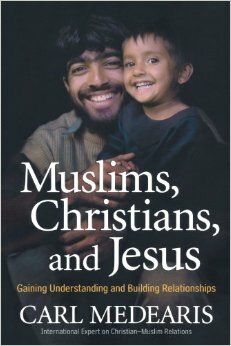 Many Christians do lack a healthy, Biblical worldview. But are there any concerns about what Del Tackett himself is proposing? Let us take a look. What Is Del Tackett Proposing? According to the promotional material, Is Genesis History? seeks to provide a new look at the evidence supporting Creation and the Flood. But it is important to realize that Del Tackett is putting forward one particular view as to what this means, namely a Young Earth, of no more than about 6,000 years old, and a global Flood in Noah’s day, covering the entire planet. In the byline for the film, Tackett notes that there are “two competing views… one compelling truth.” The problem here is that Tackett is oversimplifying what is indeed the case among evangelical Christians, just from viewing the film highlight clips on the movie’s YouTube channel. There are actually more than “two” views to consider. For Tackett, the one view he advocates for rejects the concept of “deep time,” the modern scientific consensus of a 4.5 billion year old earth, that helps to explain the origin of our planet and its universe, within the scientific disciplines of geology, astronomy, physics, chemistry, biology, and others, as taught in every American public school and public science museum. For Tackett, this “deep time” paradigm strikes disaster at the very heart of a Biblical worldview, and specifically the meaning of the cosmic Fall, as taught in the Book of Genesis. There are many skeptical, non-Christian scientists and thinkers who would agree, thereby rejecting the Bible. However, there are also a number of other Christian pastors, Bible teachers, theologians, and believing evangelical scientists who find no difficulty reconciling the concept of “deep time,” with an authoritative, inerrant view of the Bible and its teachings. 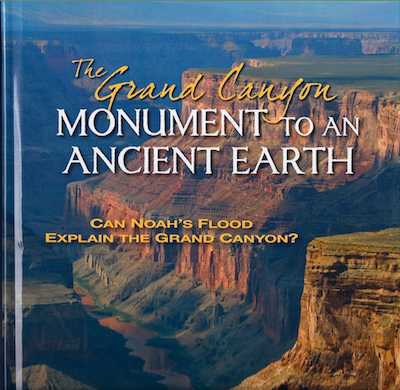 The Grand Canyon: Monument to an Ancient Earth: Can Noah’s Flood Explain the Grand Canyon? is a beautiful new book, with lots of great photography, that makes the point that the fossil record in the canyon shows that the distribution of different animal remains are found in distinct, orderly layers. In the radical turbulence proposed by the alternative, global flood model, we would expect animal remains to be jumbled around in the fossil record. However, unlike what Del Tackett’s experts insist, this expectation is contrary to actual, geological observations. In the film, Del Tackett makes the extraordinary claim that there is sufficient evidence to warrant overturning this “deep time” paradigm. For example, with folksy, laid-back guitar music in the background, Del Tackett takes a trip to the Grand Canyon, marveling at its grandeur, with striking photography. However, his scientific guide tells him that there is evidence here for a global flood, a great catastrophic event that carved out the Canyon, not over millions of years, but rather, in a period of less than one year. The film has just enough scientific jargon to convince you that there is real science going on here, but not too much to overwhelm those who are freaked out by science lingo. If you examine the names of the scientific experts Tackett uses in his film, it reads like a virtual “Who’s Who” of the Young Earth Creationist scientific community. These are indeed really smart and brilliant people, with PhDs to back up their work. These experts are no “dummies,” and several of them are known for their irenic disposition towards other Christians who view this issue differently. Based on those film trailers, Del Tackett does not appear to be attacking other Christians who do not share his perspective. However, you will not see a single Old Earth Creationist, nor a single Evolutionary Creationist, interviewed or listed in the credits for Is Genesis History? Not a single one. Therefore, a lingering question remains: Is the scientific evidence truly there to support Tackett’s claim, overthrowing the reigning paradigm of millions of years of “deep time,” with respect to earth’s origins? Well, if there really is, and folks like Tackett and the scientists he interviews could produce it, then such folks would be considered as heroes and superstars in the scientific community, presumably winning Nobel Prizes right and left. If such evidence can be amassed by Tackett’s scientific collaborators to tell a convincing story to overturn “deep time,” well, then, more power to them! But to date, such a movement to overthrow the current paradigm has yet to emerge in a compelling manner. Del Tackett is quite a gifted and compelling communicator, and he is to be commended for his intended efforts to help Christians develop a more Biblical worldview, to face up to the challenges presented by a contemporary culture, that seeks to undermine the Bible and its authority. However, we can only defend such a Biblical worldview built upon a stable foundation, and not on the shifting sand of speculative Bible interpretations. For example, the physical evidence for the Big Bang is overwhelming, and this great scientific discovery is consistent with the idea that there indeed was a beginning, just as the Bible teaches. Also, the physical evidence for a large, yet non-global flood in the Ancient Near East, that could have wiped out all of the known, sinful humanity at the time, is perfectly consistent with an extensively catastrophic event, that demonstrates God’s judgment against the humanity of Noah’s day, just as the Bible teaches. Nevertheless, Young Earth Creationism rejects both the ideas of the Big Bang, as well as a large local flood for Noah’s flood, as contrary to their interpretation of Scripture, so it really leaves me scratching my head. Is Del Tackett stirring up controversy where none is needed? Defending the faith against the onslaught of secularism is difficult enough as it is, without adding the extra burden of trying to dismantle the idea of “deep time” in the sciences. Del Tackett’s efforts to philosophically tackle “deep time” might be theologically correct, but it really is a massively long shot when trying to sync this idea with modern science. The philosophical presuppositions shared by Del Tackett and his scientific collaborators in the film can be quite heady and elusive to grasp. So, my greatest concern is that uninformed Christians who see the film might be drawn to embrace a form of pseudoscience, one that can not withstand the most rigorous critical scrutiny, when faith is put under pressure. Is Del Tackett really giving his film viewers reliable, intellectual weapons to defend the faith, or will those same weapons fail the Christian, when put to the test? Should a Christian go see the film? Sure. Go see it in on February 23rd. Del Tackett’s view deserves philosophical and theological consideration, if you have never considered it before. Make up your own mind. Just remember that Del Tackett is only giving you one particular Christian view, his version of “alternative facts,” and he is not giving you different Christian perspectives, that line up better with the modern scientific consensus, to adequately compare and consider. If you do want to see how Del Tackett presents his views among other Christians, who are not convinced by his arguments, you should consider viewing this dialogue between Del Tackett and others, particularly theologian R. C. Sproul, Intelligent Design science advocate Stephen C. Meyer, and theologian Michael Horton. Otherwise, be careful in how you evaluate Del Tackett’s “alternative facts” in Is Genesis History? Note: I attempted to contact Del Tackett via email at deltackett.com, asking him to answer some of the concerns I had with Is Genesis History?, and after several weeks, I received no response. As the film is being heavily promoted in our area, I sensed it imperative to get the word out via this blog post, and urge Christians to apply principles of discernment. …… With respect to Del Tackett’s “The Truth Project,” I have not viewed the entire series myself, and perhaps someday, I will have the time to watch all of the sessions, and then develop my own, informed opinion. But based on some of the other informed reviews available, it would appear that for all of the good work Del Tackett has done, there are enough missed opportunities for promoting a wider-range discussion, that such deficiencies take away from “The Truth Project”‘s overall effectiveness. For more analysis of Del Tackett’s work in “The Truth Project”: a review from a progressive evangelical apologist, Randal Rauser, or from a dispensational-Arminian perspective at the Berean Call. Del Tackett definitely has his critics from across the evangelical spectrum.